If you’re not familiar with Dominic DeAngelis he does a lot of pranks on Chatroulette, many times as different characters. In this video he’s basically himself but he comes up with a lot of entertaining funny lines throughout the clip, some of which are related to his fake skeleton friend prop. Also, he comes across a lot of really weird or spooky characters, which I suppose should be expected because it is Chatroulette after all, and you never know what you’re going to see next. One thing that’s interesting about this video in particular is he comes across some pretty good looking girls also acting rather odd, so it’s not just a bunch of male perverts like you might be expecting. Anyway, you definitely want to check this out, because I found it to be thoroughly entertaining and I know you will too. Enjoy! So, odds are by now you’ve heard of and likely tried out the most famous webcam random chat site, Chatroulette. Personally, I will always be a fan of it – after all, it was the first to truly popularize roulette video chat. That being said, just because I like one site doesn’t mean I won’t start looking for plenty more alternative websites of a similar nature. And that, my friends, is exactly what I have done. Here you will find a nice good list of all the best sites like Chatroulette. I have done the hard work for you! No need to search Google to try and figure out which sites are worthwhile to use, because I have already tested them all and done the necessary research for you. Enjoy! This website is great! It has the most features of any site for chatting randomly with strangers. These include roulette video chat, random text chat, group cam chat, and a whole social network dedicated to connecting people from all around the world. Check this one out for sure! This was the first site to invent random chatting as we know it today. Originally they only had a text option, but now they have both text and video options, plus their own unique features such as “spy mode”. Definitely worth a visit! A great popular site for roulette video chat and group cam chatting, this site rose to prominence relatively recently compared to most of the bigger established sites in the niche. They have a very strong following. 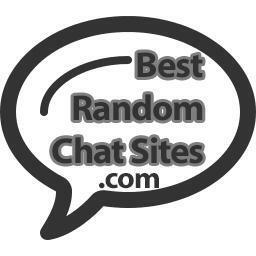 If you speak French or Italian, this is the random webcam chat site for you! Other than that, it is basically just like Chatroulette. I guess even if you don’t speak the main user languages you can still get in some practice, or hope they also speak English. With a mostly non-US international audience, you never know what you’ll be in for at this roulette video chat site. That being said, they also have their own unique feature set which involves a user registration system, but no worries it is completely optional should you choose not to partake.